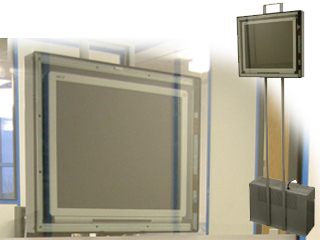 Interactive Through-Glass kiosk with 15'' display. Our innovative design for this Through Glass kiosk, means that there is no installation. It is not necessary for you to have the through glass sensor bonded to your shop front window, and the kiosk unit needn't be permanently installed in one location.